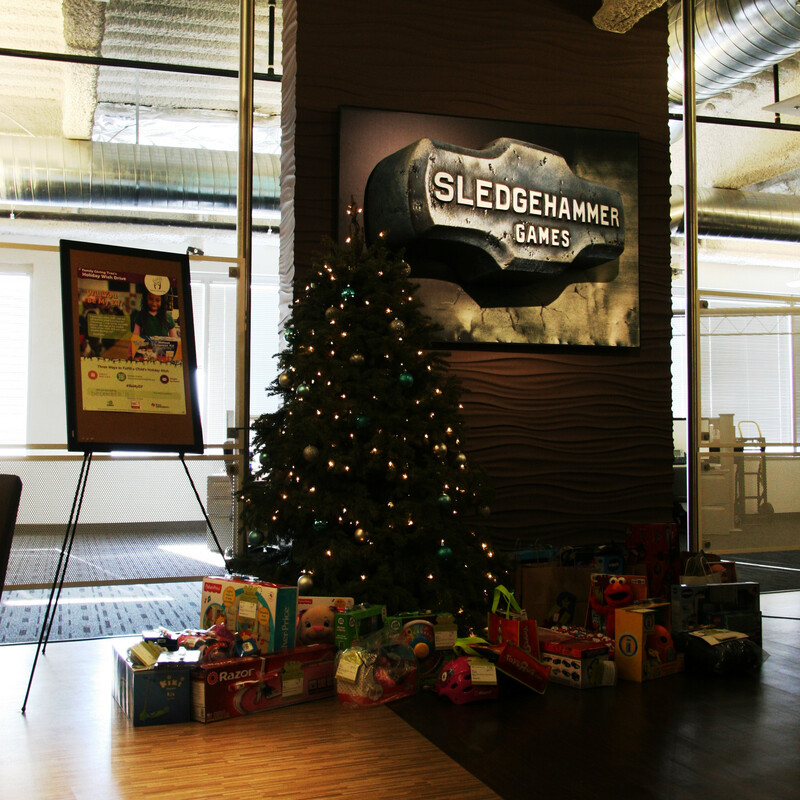 The holidays are an extremely important time of year for the developers at Sledgehammer Games. Whether it be catching up with family, logging a few more hours of sleep than we're used to, or giving back to the community around us we're determined to get the most out of it. This year, we've decided to team up with Family Giving Tree - a nonprofit organization that helps give gifts to underprivileged children in the Bay Area. The best part of the charity is that they interview the children beforehand, and we're able to fulfill their exact wishes so they have something to open this holiday season. Please remember to think not only of the people closest to you, but also the people that need it the most. For more information about Family Giving Tree, please visit their website and be sure to check out their Facebook and Twitter.